Russian scientists have developed a new optical method for non-invasive diagnosis of blood circulation in capillaries. The method is based on video recording of the skin surface with simultaneous registration of light absorption by red blood cells. Using this method, the scientists found that people suffering from migraine showed some malfunctions in capillary regulation. This technique can also be used to study strokes and diabetes, as well as for blood circulation monitoring during brain surgery. The results are published in The Journal of Headache and Pain. Capillary blood circulation plays crucial role in tissue metabolism. The total number of capillaries in the human body exceeds several billion. If such a big, branched system fails to work in coordination, this can lead to a stroke or migraine, for example. However, capillary coordination mechanisms are still not fully understood. To study these mechanisms, the scientists used new non-invasive methods. 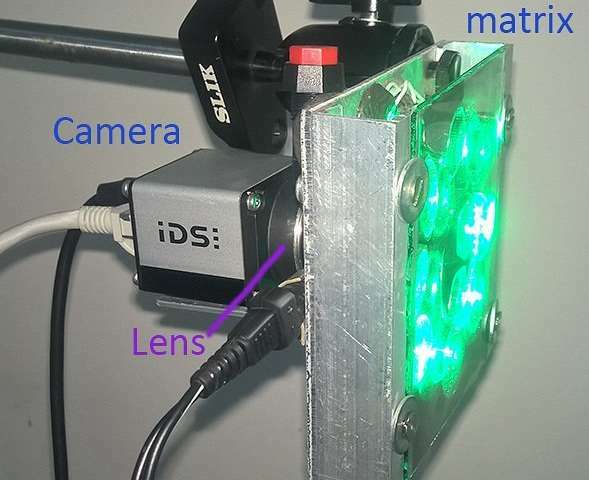 One is optical plethysmography, proposed by scientists from Russia in collaboration with their colleagues from Finland. Plethysmography graphically records how blood flow volume changes under functional loads. This data is necessary to assess the vessels' state. Although this method is usually used to assess the total blood flow, now, scientists have created a system for local capillary circulation. 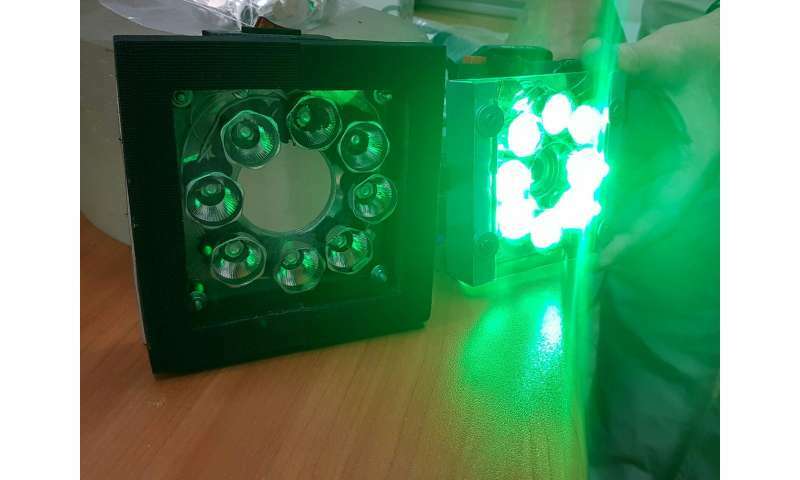 The system consists of green LEDs, video camera with polarization filtering and special software. When illuminated with green light, the red blood cells change the reflected wave polarization. The camera registers only the signal with altered polarization and the computer tracks the red blood cell distribution. Their accumulation implies that the intensity of blood flow is enhanced by the opening of additional capillaries. The new method's effectiveness was checked by the experiment studying capillary blood circulation in case of migraine. During the experiment, scientist wanted to check if the nervous regulation of capillary circulation of people suffering from migraines differs from those unaffected. Participants of the experiment had pepper patches applied to their skin. Pepper patches contain capsaicin, a substance that excites nerve endings and in normal conditions, stimulates the opening of additional capillaries to enhance blood flow. "We found that patients with migraine had quite inadequate response to capsaicin. This can be the evidence for malfunctions in the molecular mechanisms of blood flow regulation. However, before drawing any conclusions, we need to investigate this issue more deeply. Now we have an effective tool for such work. New optics allow us to simultaneously evaluate a large area of the surface. In 30 seconds, we get information about the dynamics of red blood cell distribution in the entire field of view. Conventional sensors would never give such a result," says Alexei Kamshilin from ITMO University. According to the scientists, this diagnostic system for capillary blood circulation can be used not only for migraines studies, it is also suitable for studying strokes or diabetes. Combined with an endoscope, the system can be used to investigate the microcirculation of internal organs. In addition, the method is promising for monitoring cerebral cortex blood supply during neurological operations.